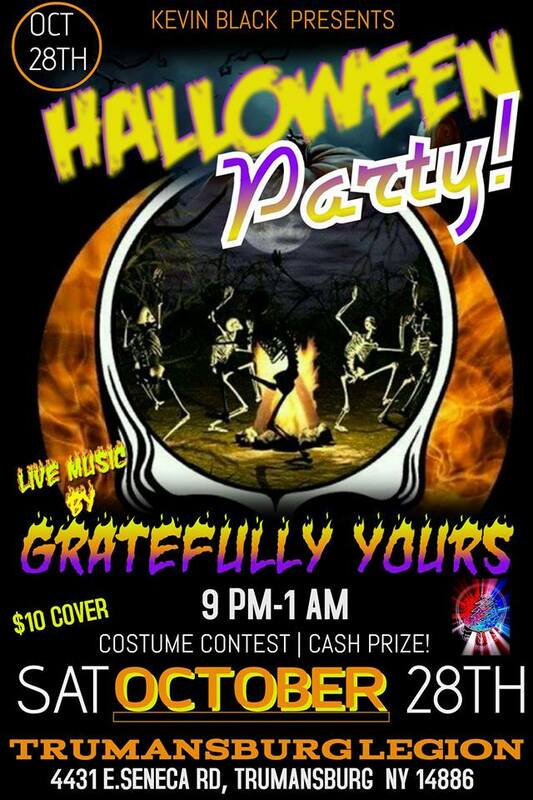 Trumansburg get ready, KBP brings Gratefully Yours to the Trumansburg American Legion Oct 28th for Dancing with "The Dead" Halloween Spooktacular. Come join us for an evening of Grateful Dead music performed my Upstate New York's premiere Grateful Dead tribute band, Gratefully Yours. There will drink special all night, food available, along with cash prizes for best costumes. Show starts at 9pm, $10 cover. Hope to see you there!